Okay, so seriously, I love this one. I would say it is my favorite of the new release from CAS-ual Fridays Stamps, but I kind of really super love tomorrow's card, too, so ... yeah, there's that. HA! But seriously... the ENTIRE Ink Squad was totally inspired by this set and it SHOWS when you see their stuff! So, here's the deal... head over, do a lot of OOOing and AHHHing at the cards and comment on the CAS-ual Fridays Stamps blog for your chance to WIN this gorgeous set! WHAT?! Yup. Totes, you guys. Totes. Love those pine cones, Jingle! They're awesome! Super love this new set..you rocked it. Woah. 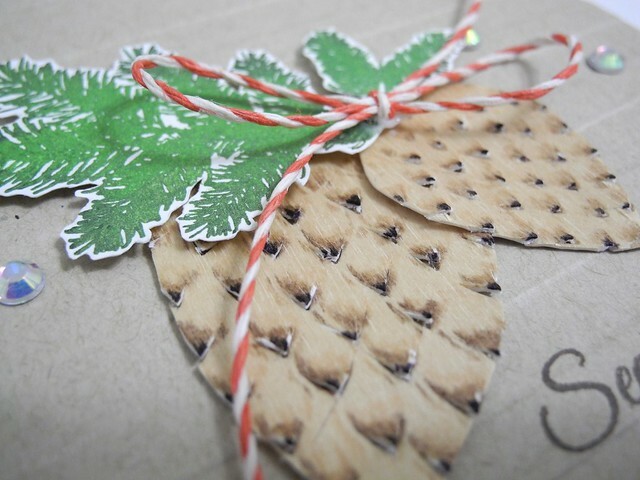 Loooove the hand cut dimension you added to the pine cones! Wow!! Beautiful card!!! Love that dimension and the Kraft-ness!!!! So cool! This is really cool! I love the texture on the pinecones! AMAZING life-like pinecones! I love love the textures and colors that you added! Brilliant! where do I find words to describe how amazing is that card?! These pinecones looks REAL! 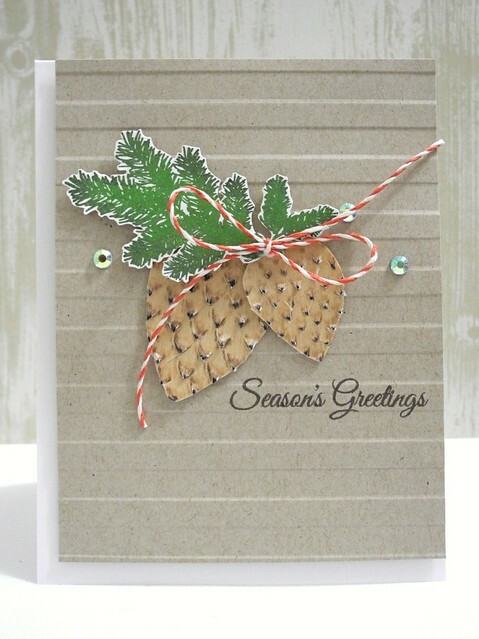 I totally GASPED when I first saw this card and I couldn't wait to see how you did it! It looks so REAL!!! Amazing!